Good for seeing: Hawaiian green sea turtles, white tip reef sharks, nenue (lowfin chubs), goatfish, octopus, black durgeon, frogfish, parrotfish. 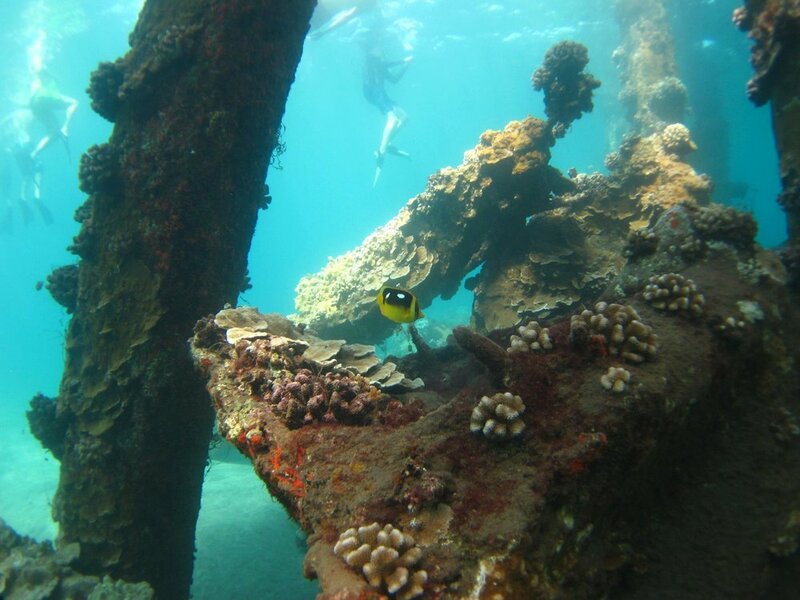 Best time of year to snorkel at Mala: Mala Wharf can offer fantastic snorkeling during all times of the year, and even though it’s a short sail from Lahaina Harbor, it offers some of the best snorkeling and diving on the west side of the island. Reasons we might not snorkel here: There can sometimes be south swells during the summer months which bring large surf to Mala, in which case we would opt for a location further north such as Namalu Bay or Mokulei’a. History: Mala wharf was once a fully-functioning pier which served as a shipping facility for the island’s pineapple and agriculture. In 1992, however, 30 ft. surf came marching into Lahaina as a result of Hurricane Iniki, and the end of the dock was completely destroyed. 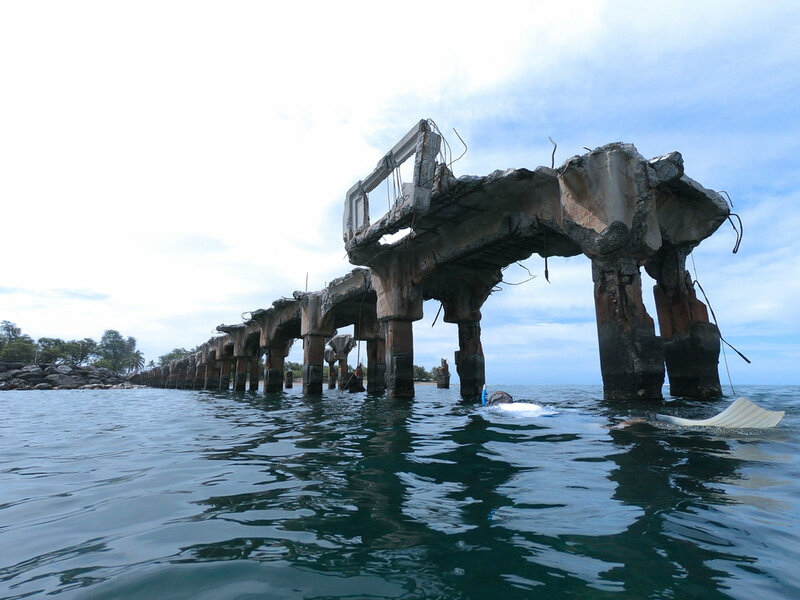 Today, the pilings from the old dock lie scattered along the ocean floor, and what was once a shipping facility above water is now a healthy artificial reef which is home to a vast array of marine life. Trips Offered to Mala: Our Discover Olowalu regularly frequents Mala Wharf, and our Ka’anapali snorkel tour will occasionally snorkel at Mala when the surf is too large at places such as Honolua Bay. We will also sometimes visit Mala during private Maui snorkeling charters.